Colin is tired of the egg-yolk yellow color on his bedroom walls, so his mom hires painters to change the color to navy blue. The painters are two women named Heather and Molly who are both Deaf and use American Sign Language. As they chat to each other while painting, they inadvertently create a surprising effect on the walls. My 7 year-old son loved this book because of the friendly painters and their way of communicating. In the back of the book, there are three pages with some ASL signs used in the story and also the fingerspelling alphabet. He learned them in no time. I know some ASL and so my son and I had fun signing and fingerspelling to each other. We also enjoyed the outcome of the story, which had my son looking at his own walls and wanting to change them like Colin did! My son said this book was "cool" not just because of the sign language but also because of the illustrations which was a mix of drawings with real photo collage. The characters' shoes and mouths and other items were real photos. My son, who has a keen eye for drawings, took his time looking at all the details carefully. 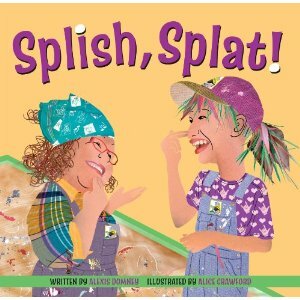 Splish, Splat is a charming book that exposes children to sign language and the people who use it. It has a unique ending and will appeal to children who love learning new things. Highly recommended. 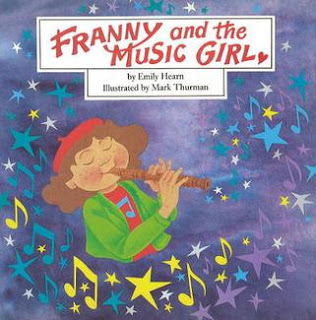 My son loves music so he was attracted to this book about a young girl named Franny who ends up making friends with an older girl, Maia, who is a whiz on the clarinet. Franny is in a wheelchair and she loves to dance and dream when she listens to music, but she becomes upset one day when someone mysteriously pushes all the buttons on the elevator in the apartment where she lives and makes her late for camp day after day for a whole week. The story is simple but it touches on anger, dealing with situations one cannot change, and love of music. Franny is a strong-willed child who feels empathy and comes to the aid of someone in need. She is rewarded by a new friendship and the new skill of learning how to play an instrument. My son noticed that even if the children were in wheelchairs they still danced and had fun. This was another good story that exposed my child to children in wheelchairs. The story does not say why Franny was in a wheelchair, and my son didn't ask, probably because it didn't matter to him, only that Franny did what other kids do in the summer--go to camp, play with their friends and make new friends. My son fell in love with the title of this book and after I read it, he was tickled pink by the whole concept of being introduced to ten different foods from around the world. And this from a boy who's a picky eater and likes his food bland! Yes, my son was amused reading about a mom who cooks these fabulous ten foods (some new to us, and some not) and shares the experience with her daughter. My son said that this book makes him hungry! It's true. A few days later he was asking me for couscous, a dish I haven't made recently but that is mentioned in the book. Whenever I am in the kitchen baking, my son wants to help. He likes mixing, stirring and putting things together. I think that's one of the reasons this book appeals to him so much. He even showed it to his friend who came over to play. The illustrations are cute, a little wacky, and most of them are of a mother with her daughter in the kitchen, cooking and eating together. They are comforting and heartwarming. 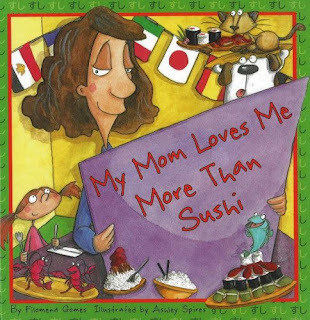 This is a cute, cheerful book that clearly portrays the message that although people express love through food, a mom will always love her child more than sushi. In our house, we have fun reading. And yes, books are everywhere... in the kitchen, bedrooms, living room, den, home office... much like at Meena's house, except at her house they are literally everywhere! Her parents keep bringing books home but Meena hates books and reading. Until one day, a huge stack of books fall and all the characters in them fall out, making Meena realize that books are full of wondrous characters and not just words. As she begins reading to find out where the characters belong, they all eventually return to their stories, making Meena relieved that she has helped them find their way home but also sad because she thinks she will never see them again until she realizes that all she needs to do is open the books again and begin reading. In 2003, this book was chosen as the Grade One book giveaway distributed in conjunction with TD Canadian Children's Book Week to all the children in this grade level across Canada. I can see why. 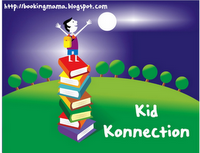 This is the perfect book to introduce children who do not like to read to books as more than just words. Meena made friends with the characters she discovered in the books that she initially refused to open. It's important to make our children discover the beauty and practicality of books without forcing books down their throat. 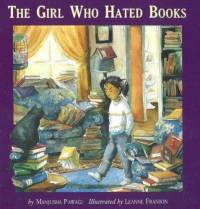 Meena was determined to hate books, but on her own, came to the conclusion that she didn't hate them after all. Isn't that how it should be? Disclosure: Thanks to Second Story Press for sending me the first three books for review. The last one I bought at a used book store. I was not compensated in any other way, nor told how to rate or review these products. They all look wonderful. I love the fact that they're all so diverse. What a great collection of books. I think these picture books manage to cover some terrific (and important) issues.